If you truly need a livable backseat, make sure to ignore Dodge's advertising claims about how roomy it is back there. While the claims are true, the Challenger's second row isn't huge. Try out the backseat before you buy. Let the burnouts begin! 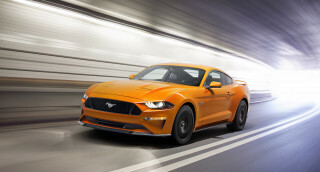 The Ford Mustang finally has another domestic competitor. Editors from TheCarConnection.com have driven each and every model of the 2009 Dodge Challenger line. Our team has also studied trustworthy reviews of the Challenger to build this thorough review. Based on this research, TheCarConnection.com provides the following to help you make a smart purchase decision regarding these emotion-filled coupes. The 2009 Dodge Challenger is a sporty coupe model; because the Challenger is based on the Dodge Charger sedan, it’s a size up from the Ford Mustang. The Dodge Challenger was introduced for 2008 as a limited-edition, high-performance SRT8 model aimed squarely at muscle-car enthusiasts. For 2009, Dodge has brought out a full line of Challenger models that promises to meet the needs of a wider range of buyers. Most notably, with a new V-6 edition and a new six-speed manual, the 2009 Dodge Challenger gives a slight nod to fuel economy. The 2009 Dodge Challenger is available in three distinct models: the SE, R/T, and SRT8. Major differences between them are powertrains, chassis components, and interior trim details. Despite these differences, the evocative exterior style of the new Challenger remains powerful across the entire line. With its bold nose and strong bodylines, there's no mistaking a Challenger for any other car. Furthermore, people of all ages like the car's look, not just old geezers who remember the original from 1970. The 2009 edition is thoroughly modern and manages to exude a bold presence even in the base SE trim level. With added graphics, rear spoilers, and larger wheels and tires, the more performance-oriented R/T and SRT8 editions look even tougher. Inside, the 2009 Dodge Challenger sports a more conventional—but still sporty—style. The gauges are nestled in four pods, but unlike some similar designs, the Dodge's instrumentation remains easy to read regardless of lighting conditions. A center console is standard, and the pistol-grip shifter (on manuals) is a nice styling touch. The performance delivered by the 2009 Dodge Challenger supports its styling. Three engines are available. The ultimate 6.1-liter HEMI, producing 425 horsepower, is the top powertrain and only available in the SRT-8 edition. The SRT designation identifies this Challenger as having been enhanced by Chrysler's in-house tuning gurus, the Street and Racing Technology group. New for 2009, the Challenger SRT8 can be equipped with a six-speed manual. Carried over from 2008, a heavy-duty five-speed automatic is available. Performance is impressive, with a top speed of more than 170 mph. A step down from the SE is the 2009 Dodge Challenger R/T, which packs a 376-hp (standard six-speed manual) or 372-hp (optional five-speed automatic), 5.7-liter V-8. The 5.7-liter can get the Challenger to 60 mph in the mid-5-second range. The base Challenger SE’s 3.5-liter V-6 produces 250 horsepower and, with its standard four-speed automatic, delivers 0-60 mph times in the high 7-second range. This combination achieves EPA numbers of 17 mpg city/25 mpg highway. TheCarConnection.com put some serious miles on an SE and found it plenty peppy and relatively refined. Being cognizant of customer concerns regarding responsible fuel economy, the R/T's HEMI benefits from efficiency gains totaling 4 percent compared to the same engine used in 2008 Dodge products. Mileage with either transmission is 16 mpg city/25 mpg highway. Comfortable bucket seats are standard up front, and there are three seat belts in the rear. While the rear seat of the Challenger is larger than you'll find in a Ford Mustang, that doesn't mean it's roomy like a limousine. Headroom is acceptable, but those in the front may have to slide their seats forward to provide ample legroom for those in the rear. Most Challengers will come with an eight-way power driver's seat. The seat is comfortable (especially in concert with the standard tilt-and-telescoping steering wheel), but when access to the rear seat is necessary, the driver's seat lacks a quick-release mechanism. The solution is to motor the seat forward or access the rear seat from the passenger side—very inconvenient. However, the folding rear seats (60/40 split) help give the Challenger excellent and flexible cargo-carrying capabilities. Quality on all of the Challengers TheCarConnection.com have driven has been excellent, with no squeaks, rattles, or quivers. The cars felt well built, and materials felt and looked good compared to the much-maligned plastics used in Dodge’s cheaper models. Because performance and style are the calling card for the 2009 Dodge Challenger, safety may be overlooked. But the 2009 Challenger has all the essentials, including four airbags (two front plus with side-curtain airbags that extend to the second row). Anti-lock brakes and dynamic stability control are standard on R/T and SRT-8 models but optional on the value-priced SE. The Challenger has not yet been crash-tested by the government or the IIHS. In addition to the aforementioned performance and safety equipment, all the requisite options you'd expect are available, including satellite radio, leather seats, hard-drive media storage, and a navigation system. The newly expanded Challenger line stacks up nicely against the Mustang, with the V-6 SE facing off against the base Mustang, the R/T against the GT and Bullitt, and the SRT-8 against the Shelby GT500. The SE and R/T outpower their respective Mustang competitors, but the mighty Shelby holds a major 75-horsepower advantage over the SRT-8. While the 2010 Chevrolet Camaro isn't even on sale, Chevy has already announced some specifications. Currently, their V-6 and V-8 models outpower the Challenger by significant amounts (approximately 300 horsepower to 250 hp for the V-6 and about 400 hp to 376 for the V-8s). The 3.6-liter V-6 for the Camaro is an engine that TheCarConnection.com already knows and loves, and with direct injection, it will be considerably more refined and economical than the Dodge's aging 3.5-liter V-6. 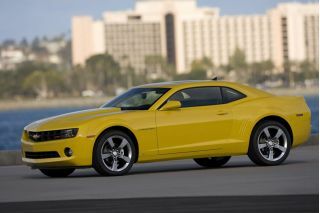 Old is in, and the 2009 Dodge Challenger is here to capitalize on the newfound nostalgia of the American car shopper. Styling trends come and go, but for now, retro is all the rage in Detroit. The expanded 2009 Dodge Challenger lineup competes with the equally retro Ford Mustang and upcoming Chevy Camaro for the crown of king pony car. The latest generation of the Ford Mustang kicked off the yesteryear styling trend among the Big Three, but the 2009 Dodge Challenger cranks it up to 11. The new Challenger Dodge is a "head-turner" that Automobile Magazine says is available in three different trim levels: a "top-spec, SRT8" and "considerably less expensive" R/T and SE models. Externally, all three share what Cars.com calls "Hot Wheels" styling. The visual appearance of the Dodge Challenger varies somewhat across the lineup, but not as much as on some other vehicles. Motor Trend, for instance, is pleased to report "the Challenger SE isn't completely stripped of Challenger R/T and SRT exterior jewelry and doesn't scream 'rental car.'" As for the other trims, Car and Driver contends that "the SE is closest to the 1970 model that was the clear inspiration for this new generation" of Dodge Challengers, while the "R/T adds fog lamps, 18-inch aluminum wheels" and "a body-color rear spoiler," and the SRT8 is distinguished by "faux-carbon-fiber hood strips, xenon lights...a matte black deck spoiler, and a deeper front air dam with functional brake ducts." A moderate amount of customization is available with the Dodge Challenger's exterior, as Motor Trend points out "Mopar can accommodate with everything from a Ram air hood to a coil-over suspension kit that drops the car up to 1.625 inches." The interior styling of the Challenger Dodge, while not quite as exciting as the sheetmetal work, gets passing grades in reviews read by TheCarConnection.com. ConsumerGuide reviewers love that "the Chrysler-standard control layout places most systems within easy reach," and though "the navigation system absorbs most audio functions," it does so "with good results." TheCarConnection.com's editors also rave about the gauges on the 2009 Dodge Challenger, which are some of the most readable on the market. Among the less favorable reviews, Automobile Magazine feels that "the cabin is nowhere near as stylized as the Ford Mustang's, and the overall look is very muted." Car and Driver also points out that the interior is "dark" and "spooky," and in their opinion, it "absolutely requires the huge optional sunroof to cheer things up." Despite those few criticisms, reviews tended toward the positive end of the spectrum, and most reviewers agree with Motor Trend when they report that the 2009 Dodge Challenger benefits from "a healthy dose of retro-modern style." The 2009 Dodge Challenger R/T is all the performance most people will need, especially considering that the SRT8 gets slapped with a gas-guzzler tax. To add to the mass appeal of the 2009 Dodge Challenger, the folks at Chrysler dilute the lineup's performance by offering the less-capable SE and R/T trims, but that doesn't take away from the virtues of the tremendously powerful engine available on the Challenger Dodge in SRT8 guise. The three trim levels of the Dodge Challenger denote the engine housed underneath the hood—according to Jalopnik, the base SE gets "a 3.5-liter High Output V6 producing 250 hp and an equal number of lb-ft of torque," while the mid-range R/T offers a "5.7-liter Hemi engine" producing either "370 hp and 398 lb-ft of torque (when running on premium fuel) or 375 hp and 404 lb-ft of torque, depending on which transmission it's mated to." Returning unchanged from its model year 2008 introduction is the Dodge Challenger SRT8, which Cars.com reports is powered by "a 6.1-liter HEMI V-8 willing to provide a blustery 425 horsepower." Reviews read by TheCarConnection.com show that the SE trim of the 2009 Dodge Challenger is more fun than many V-6 options, but the real enthusiast driving belongs to the V-8-powered Challengers. The uninspiring V-6 on the Challenger Dodge SE is, in the words of Motor Trend reviewers, "not slow; it's just not fast, either." Nobody will describe either of the V-8s that way though, and ConsumerGuide proclaims that the "R/T is quite potent, with ample passing reserves." The highest praise is saved for the very capable Dodge Challenger SRT8, which Cars.com describes as "a rocket booster strapped to your fanny" and Jalopnik says can achieve "a 0-to-60 time of five seconds." One of the chief complaints about the 2008 Dodge Challenger SRT8 was the lack of any manual transmission option, so for the 2009 Dodge Challenger, the Chrysler bigwigs have decided to address those complaints, at least on the R/T and SRT8. Jalopnik is pleased to report that "both the R/T and SRT8 get an optional Tremec T6060 six-speed manual transmission ported from the Dodge Viper," although the SE still only offers "a four-speed automatic." In addition to the manual option, Cars.com says the V-8 Dodge Challengers can be fitted with "a crisp-shifting five-speed automatic." Both the five- and six-speed transmissions fare well with reviewers, with ConsumerGuide finding "the manual transmission has positive, mechanical shift action and a smooth clutch," while the "responsive automatic transmission shifts without harshness." The four-speed auto on the Dodge Challenger SE doesn't hold up quite so well to reviewer scrutiny, and Automobile Magazine observes that "you have to be willing to boot it because of the wide gaps between the gears." The four-speed transmission also doesn't do much to help the Dodge Challenger SE's fuel economy, which isn't significantly better than the R/T's. The official EPA estimates for the Dodge Challenger lineup are 17 mpg in the city and 25 mpg on the highway for the SE, while the Dodge Challenger R/T offers 16 mpg city, 25 mpg highway, and the SRT8 a measly 13 mpg in the city and 19 mpg on the highway. Road tests verify the SRT8's projected fuel economy, and ConsumerGuide reports that "an automatic-transmission SRT8 averaged 15.8 mpg." There's a reason most modern sportscars tend to be on the smaller side—simply, smaller cars tend to handle better. Modern handling and traction control features can help somewhat, but Automobile Magazine says "for a sporting machine...the steering feels light and slow," and Motor Trend describes the 2009 Dodge Challenger as "more Interstate/autobahn cruiser than mountain-road slalom champ." On the positive side, the 2009 Dodge Challenger offers a surprisingly comfortable ride, which Cars.com calls "a nice blend of sport and comfort," and they note that "big craters and railroad tracks give Challenger only a slight jiggle." ConsumerGuide also raves about the "surprisingly supple" ride, "especially given this car's performance mission." Braking performance is also a pleasant surprise, especially for such a heavy car, and ConsumerGuide declares the "brakes provide sure-footed stopping control." The front seats on the 2009 Dodge Challenger are top-notch, but calling the plastic interior even mediocre is a stretch. The 2009 Dodge Challenger's interior seats are what all automakers should aim for: comfortable, supportive, and spacious. Unfortunately, not all aspects of the Dodge Challenger's interior are as well received in reviews read by TheCarConnection.com as those plush front buckets. The folks at Chrysler would like you to think that the Challenger Dodge can seat five (hence the five seatbelts), but in reality, this sporty coupe is better suited to four. Leading the way in the 2009 Dodge Challenger are a pair of front bucket seats that reviewers rave about. Cars.com holds nothing back when talking about the "excellent leather seats with good side and back support" that they feel are "easily the best [they've] seen in a Dodge." On the Dodge Challenger SRT8, Car and Driver reports that the "thick, high-backed Alcantara-and-leather performance seats...glue the driver in place regardless of lateral forces," while the Dodge Challenger "R/T and SE models also feature comfortable and nicely bolstered bucket seats." In terms of space, Cars.com attests "head and leg room also are great up front, but foot room is more moderate in back." Automobile Magazine agrees, claiming that "pushing the front seats too far back causes rear legroom to disappear in a hurry," and noting "anyone beyond booster-seat age will be too big for the middle rear spot." The one mark against the 2009 Dodge Challenger comes from ConsumerGuide, where reviewers find that rear-seat "entry and exit are sporty-coupe awkward." 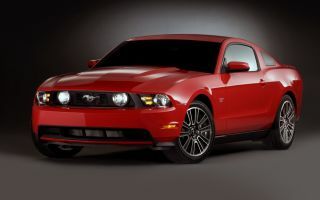 Many reviews read by TheCarConnection.com indicate great surprise at the overall level of practicality afforded by the 2009 Dodge Challenger. The Dodge Challenger's trunk is particularly noteworthy, and ConsumerGuide says "for a sports coupe, Challenger has impressive trunk space" that "offers more room than many midsize sedans." Automobile Magazine also mentions "the generous trunk space (16.2 cubic feet) and fold-down rear seatbacks…impart some genuine practicality into this sports machine." Cars.com feels compelled to tell "the practical muscle car buyer" that the 2009 Dodge Challenger's "rear seats split and fold down," which improves overall storage capacity at the expense of seating capacity. One frequent gripe with domestic cars is that their overall quality lags behind that of competing imports. While this has changed markedly in recent years, the Challenger Dodge still suffers from a disappointing lack of overall refinement. The materials quality is lambasted more than fit and finish in reviews read by TheCarConnection.com, as ConsumerGuide feels that the "Challenger's cabin houses plenty of cheap plastic, but everything is nicely assembled." Jalopnik's reviewer also slams the "horrifyingly plastic interior," while Car and Driver says that the Dodge Challenger SE's "mostly black interior features some silver-painted plastic that does less to warm up the interior than to reflect its cheapness." Fortunately, ConsumerGuide points out that Dodge Challenger "R/T and SRT8 are available with chrome, faux carbon fiber, and suede accents that help dress up the interior a bit." One area where above-average build quality and engineering shines through noticeably is cabin quietness, and in this category, many reviewers are impressed by just how quiet the Dodge Challenger is. ConsumerGuide calls the Dodge Challenger SE "surprisingly refined," and says it's "nearly silent when cruising." Motor Trend also refers to the Dodge Challenger as a "refined car" with a "much quieter" ride than the competing Ford Mustang. Of the noises that occasionally invade the cabin, one of the most prominent is the note from the "tuned exhaust system" that Jalopnik declares "sounds great in the lower gears." The 2009 Dodge Challenger SRT8 comes with all of the expected safety gear, but you’ll have to pay extra for lifesaving ESC in the SE model. As of this writing, very few 2009 model-year vehicles have been crash-tested by either NHTSA or the IIHS, and the list of to-be-tested vehicles includes the 2009 Dodge Challenger lineup. 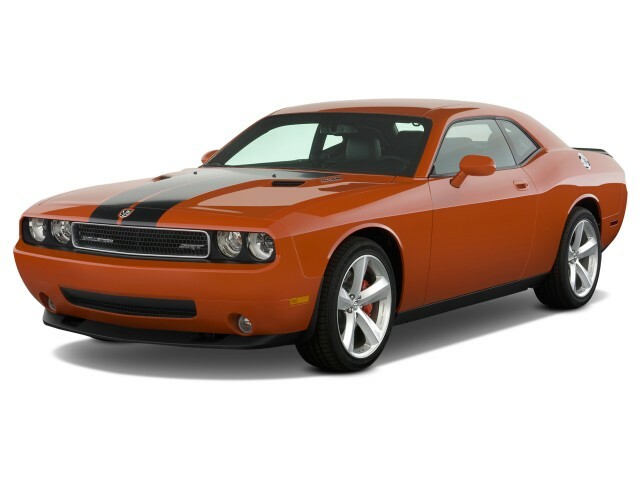 Although crash-test data isn't available, reviews read by TheCarConnection.com indicate that the 2009 Dodge Challenger features an acceptable collection of safety equipment. Unlike many car models, which tend to have standardized safety equipment lists across all trim levels, the Dodge Challenger offers different standard equipment between the SRT8, R/T, and SE trims. On the base Challenger Dodge SE, the standard safety equipment includes "four disc brakes," according to Automobile Magazine, but they are very disappointed to discover that "ABS is an option—a pretty shocking bit of cost-cutting in an otherwise well-equipped car." ConsumerGuide mentions that additional safety features on the Dodge Challenger SE include "dual front airbags, front side airbags, [and] curtain side airbags." ConsumerGuide reviewers add that moving up to the V-8-powered R/T version of the Challenger Dodge brings "antilock 4-wheel disc brakes" and "brake assist," along with an "antiskid system." The top-of-the-line 2009 Dodge Challenger SRT8 heaps on additional safety features, including "Hill Start Assist, which helps manual transmission cars launch more securely on inclines," as listed by Motor Trend, and upgraded Brembo brakes. Cars.com also reports that the Dodge Challenger "SRT8 has traction and stability control to avoid spinning the tires and [keep] you headed in the right direction," a valuable feature in a car as prone to wheelspin as the 2009 Dodge Challenger. The new Challenger Dodge offers varying safety features across the trim levels, but all three suffer from less-than-ideal driver visibility. Several reviews read by TheCarConnection.com lament the poor visibility, with ConsumerGuide leading the way by reporting that the Dodge Challenger's "roof design severely limits visibility to the rear corners." Car and Driver agrees and expands upon that criticism, finding that the "outward sightlines are hampered by thick pillars, fixed rear headrests, a low roof, and a long hood." It would always be nice to see a longer standard features list, but the 2009 Dodge Challenger leaves lots of room for personalization with its available options. By now everyone knows the 2009 Dodge Challenger offers competitive performance at a very reasonable price. What might not be so obvious is that the Dodge Challenger comes equipped with a lengthy list of desirable standard features, even in base SE trim, and moving up to the SRT8 only adds to the interior goodies. There are certain creature comforts that today's consumer has come to expect in any new vehicle, and the 2009 Dodge Challenger doesn't disappoint. ConsumerGuide is impressed that the base Challenger Dodge SE offers a "tilt/telescopic steering wheel, cruise control," an "eight-way power driver seat," full power accessories, and an "AM/FM/CD/MP3 player," all as standard features. Most of the price bump that comes with upgrading to the R/T trim of the Dodge Challenger is due to the extra two cylinders under the hood, but ConsumerGuide does note that a "leather-wrapped steering wheel" and "illuminated visor mirrors" are added to the standard features list. Opting for the Dodge Challenger SRT8 brings even more creature comforts, which ConsumerGuide lists as "heated front seats, keyless access and starting, remote engine start," and a "Boston Acoustics sound system" with "satellite radio," for those who crave an improved audio experience. The standard features across the 2009 Dodge Challenger lineup are respectable, but to keep base costs down, Dodge piled most of the uber-desirable features into available options packages. For those looking for the middle-of-the pack power of the Dodge Challenger R/T but the features loadout of the SRT8, you'll be pleased to hear that Motor Trend says a "popular equipment package gets you such SRT standards as leather interior, Boston Acoustics six-speaker, 276-watt amp, satellite radio, heated front seats and Keyless Go." The Challenger Dodge in R/T trim also offers another appealing package: the "$995 'Track Pack' manual package" that Jalopnik states brings "a Hill-start Assist...a limited-slip differential," and "a tuned exhaust system," which the Dodge Challenger SRT8 gets as standard. ConsumerGuide reviewers mention that those buyers opting for the V-6-powered Dodge Challenger SE have the option of adding a Quick Order Package that brings mostly safety features, but also adds a "leather-wrapped steering wheel, satellite radio," and "illuminated visor mirrors." The options list doesn't stop there, however, as Motor Trend mentions that "even rear distance parking sensors" are available on the Dodge Challenger, and Cars.com says a "power sunroof" is available for an additional $950. The aforementioned options are all nice to see on the Dodge Challenger's options list, but reviews read by TheCarConnection.com show the real gem is the available MyGIG Multimedia system. That system, according to ConsumerGuide, includes a "navigation system" with "traffic information," as well as "in-dash 6-disc CD/MP3 changer" and a "hard drive" that can store thousands of songs, an incredibly convenient feature for anyone who doesn't want to haul around and sift through hundreds of CDs.